The Community Leaders Internship Program (CLIP) engages work-study eligible students by placing them in community-based work-study jobs at local non-profit agencies and public schools in the Milwaukee metro area. CLIP students work between 6-10 hours per week at their work-study site and earn between $10.00 and $14.00 an hour. Participants in the program will also enroll in 1 credit course during the program. Students in CLIP will reflect on their experiences as a group during class time. The course, complementing work experience, is aimed at the development of critical thinking and effective communication skills as well as a sense of intercultural competence and individual, social, and environmental responsibility. The goal of the program is not only to provide students with an opportunity to earn their work study award at a non-profit or school, it also seeks to provide a learning experience that develops civic responsibility and prepares students for their future careers. Interested students must complete an application and a one-page personal statement explaining why they are interested in the program and how it would enhance their college experience. Students must be work-study eligible and should have an interest in working in the Milwaukee community to join CLIP. Questions about this program can be directed to bwtrager@uwm.edu. Students have the option to work at a local non-profit or Milwaukee Public School. Students are placed at sites based on their interest, availability, and skill set. The list below represents sites that are actively recruiting at this time. Broadscope Disability Services serves thousands of people with disabilities and their families. Formerly known as United Cerebral Palsy of Southeastern Wisconsin, Broadscope fosters inclusion, empowers freedom of choice, and advances potential across the lifespan. COA Youth & Family Centers helps Milwaukee children, teens and families reach their greatest potential through a continuum of educational, recreational and social work programs offered through its urban community centers and rural camp facility. As a multicultural agency, COA values diversity and promotes positive social interaction. The Florentine Opera is looking for a graphic design intern to assist its Advancement and Education departments with projects including, but not limited to: print advertisements, mailings, brochures, fliers, posters, program booklets and donor packets. This position offers the chance for a student with intermediate to advanced Adobe Suite skills to create a professional-level portfolio. This position also offers free tickets to Florentine Opera performances. The mission of Groundwork Milwaukee is to bring about the sustained regeneration, improvement and management of the physical environment by developing community-based partnerships that empower people, businesses and organizations to promote environmental, economic and social well-being. Islands of Brilliance utilizes project-based learning which allows our students to grow their intrinsic capabilities and practice communication, increasing their likelihood of independence as adults. IOB design workshops create a space for students to explore creativity through the use of technology, during which they learn technical skills and grow confidence in critical social and peer-to-peer interactions. Through the America Reads program CLIP students tutor youth in reading and math at a local Milwaukee Public School (MPS) or private school. Partnering MPS schools include: Maryland Avenue Montessori, Clarke Street, Auer Avenue, La Escuela Fratney, OW Holmes, Hartford University School, Howard Avenue Montessori, and Gaenslen. Positions are also available at St. Anthony's School. Quasimondo Milwaukee Physical Theatre, is an ensemble of multidisciplinary artists committed to creating original work through inter-arts collaboration. We explore forms of performance and fuse modes of expression, challenging theatrical paradigms to create innovative work that is aural, kinetic, visual, and visceral. We strive through research, training, and performance to expose ourselves and audiences to international theatrical traditions and perspectives. It is our mission to make theatre that celebrates the diversity of the world we live in, that communicates in a common sensory language; that inspires audiences and enriches the community. 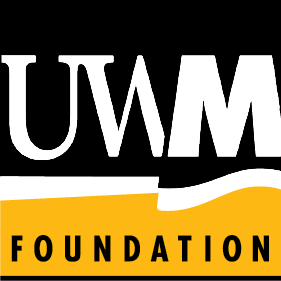 Since 1974, the UWM Foundation has endeavored to advance the mission of the University of Wisconsin-Milwaukee (UWM) through requests of philanthropic gifts to support students, faculty, campus programming and the community. As good stewards of funds designated for the University, we manage a portfolio currently valued at approximately $145 million, and distribute these funds to the University pursuant to donor wishes.While philanthropy and asset management remain the core of our mission, the UWM Foundation constantly and increasingly pursues new, innovative avenues to support the University. The Center for Self-Sufficiency, Inc. (CFSS) is a Milwaukee-based nonprofit organization. We provide family-strengthening programs to youth and adults to assist them in developing healthy life skills (attitudes and behaviors) and making choices that will have long-term positive effects on them, their family and society. Creative Employment Opportunities (CEO) provides customized workforce solutions by connecting businesses to qualified candidates with disabilities. Creative Employment Opportunities, Inc. (CEO) is a private company which assists individuals with disabilities in obtaining and maintaining employment in the community. CEO was incorporated in June 1991 as a for-profit employment agency designed to connect the business and disability communities. In January 2014, CEO became a nonprofit 501(c)3 company. At Friedens we bring together a team of people who donate food, finances, time, tears, and talent to help us make sure that people can access the food they desperately need. At the base of the ladder, we know that without food in ones cupboards one cannot have a real sense of peace. Our food pantry network is the base of what we do, our foundation. Yet we believe that if we can help people move up the rungs of the ladder at the same time we can make long term change. We do this by incorporating local individuals into our volunteer team… into our community. Being a part of something more than themselves and tangibly helping others allows people to build job skills, gain a reliable reference, and even raise ones shoulders higher as they know they are making a difference in someone else’s life. We strive to create a dynamic, warm and celebratory Jewish environment for Milwaukee’s university students and young adults (ages 18-26) where they can explore and express their Jewish identities and gain a sense of belonging within the Jewish community. We offer holiday and cultural programs, Shabbat dinners, leadership opportunities, social action projects, Israel programs, outdoor activities, and social gatherings. We welcome Jewish young adults from all backgrounds, including religious, secular and interfaith. We are also open to all local students who have a sincere desire to learn more about Judaism. To provide the highest quality mentoring environment for student athletes with the goal of creating well rounded citizens who take their education and play to higher levels. PeppNation was founded by Brandon Culpepper in 2010. The organization is on a mission to accomplish our creating well rounded citizens goal by recruiting qualified staff members (college students), mentoring/coaching youth athletes (3rd – 12th grade), hosting events and fundraisers and exposing youth to the possibilities of higher education. Razed & Found is a division of WasteCap Resource Solutions, Inc. The proceeds from this division support WasteCap’s vision to transform waste into resources. Razed & Found offers deconstruction services, do-it-yourself event workshops, and operates a retail store that sells reclaimed building materials. Its primary mission is to preserve Milwaukee’s rich architectural history by turning what would normally be seen as waste, into cherished resources.Razed & Found serves as a prominent resource for Milwaukee’s vibrant network of homeowners, architects, developers, artists and interior designers alike. Our retail store boasts a wide variety of reusable materials including lumber, antique hardware, vintage fixtures and other architectural components. Victory Garden Initiative believes that every person, in every household, can connect to their food source through the act of growing it. This act reminds us that we are of the earth, that we cannot live without the earth; that our needs are met, not by the economy, but by the earth. Growing food will re-integrate us with deep ecology, guiding our culture towards a sustainable, abundant future, freed from financial inequalities. Envision our post-industrial world transformed to an abundant and sustainable ecosystem through the reintroduction of food growing into our urban ecology. When fruit trees fill our parks, and nut trees are harvested by our neighbors, when food pantries house vegetable gardens and school children participate in growing their lunches, we will have a secure, sovereign, socially just and sustainable food system.